Vladimir Karparov was born in 1977 and grew up in Bulgaria’s capital, Sofia. He discovered music at an early age, being influenced mainly by classical music and by his older brother- the pianist and composer Svetoslav Karparov. Vladimir began playing the saxophone when he was 12 years old in the Youth Brass Band “Boteva Cheta”. Shortly after the political changes in 1989, while studying at the French School "Alphonse de Lamartine" in Sofia, Karparov often played as a street musician. At that time he developed his skills of improvisation and deepened his passion for music. He studied at the National Academy of Music ”Pancho Vladigerov” in Sofia from 1995 to 1999- jazz and popular music. He quickly realized that his fascination gravitated more towards jazz; to deepen his knowledge in this area, he applied for an “Oscar und Vera Ritter-Stiftung“ scholarship to Hamburg’s Hochschule für Musik und Theater (HfMT), with success. Yet the longer Vladimir Karparov lived away from his home country, the more intensively he began investigating Bulgarian folk music, which gradually became an essential and irrevocable component of his music. Berlin’s richly fertile, multi-cultural jazz scene exerted a magical attraction on the young saxophonist. 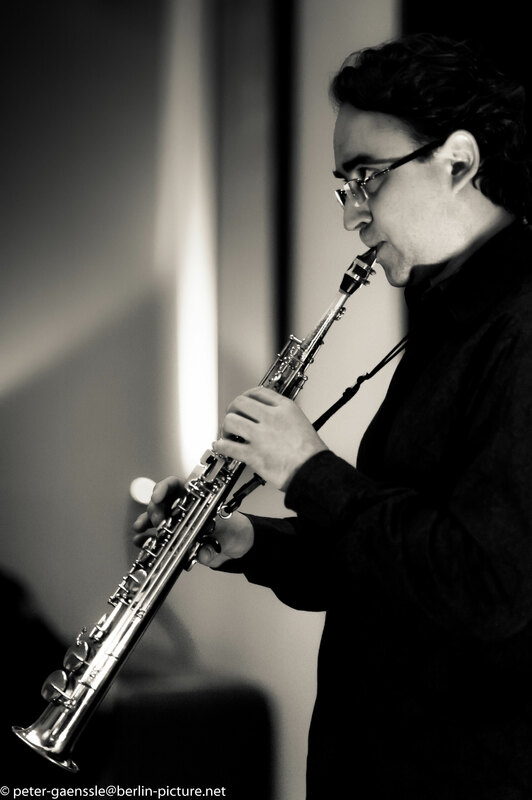 Karparov moved to the German capital in 2002 to continue his studies at Berlin’s Hochschule für Musik “Hanns Eisler” and graduated in 2005 with a degree in saxophone and teaching. His participation in various festival events as well as numerous concerts and awards in Europe, Asia, Latin and North America, North Afrika, together with his collaboration with names both on the American jazz scene and in Western and Eastern Europe, complete the picture of this versatile musician: Vladimir Karparov has played and/or toured with Jiggs Whigham, Ivo Papasov, Nedyalko Nedyalkov, Andreas Brunn and the Band For Free Hands, Theodossi Spassov, Petar Ralchev, Tätärä Brass Band, Martin Lubenov, John Hollenbeck, Stoyan Yankoulov, Gebhard Ullmann, Peter Herbolzheimer, Stian Carstensen, Arkady Shilkloper , Uwe Kropinski, Amira Medunjanin, Georg Breinschmid, Aka Moon Trio, Peter Slavov Junior, Antoni Donchev and many more to realize a wide spectrum of musical visions. After playing on a number of various projects, Karparov has released in 2007 his debut album as a leader “Thracian Dance”. In 2009 he founded his second project - the Forkolor Saxophone Quartet. The „Fokolor“ debut album was released in 2014 on Unit Records. The "Antihypocrisyl" CD of V.Karparov Band was released in November 2016 by Unit Records.